Do you use very, very often? 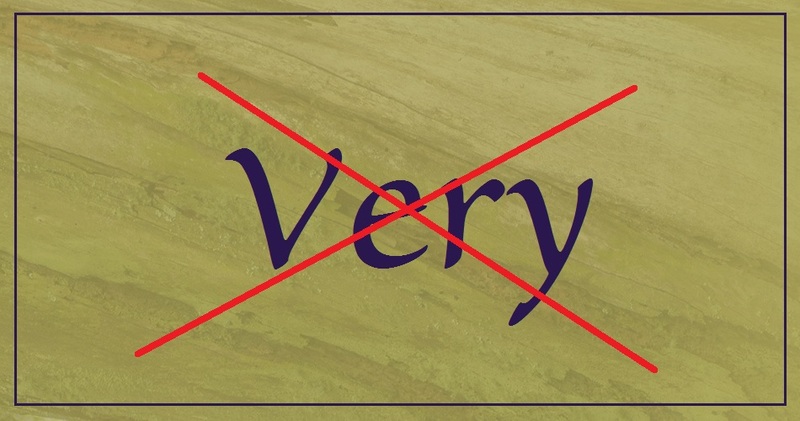 Did you know that the word ‘very’ is an almost meaningless adjective and/or adverb? There is a plethora of words that would be better suited than a humdrum word like very. So, this silly little word has originated from the Latin verus meaning ‘true’. Then Old French decided that it should be verai, where Middle English found it and coined the word very. I know that we all use very; it comes naturally and we don’t even have to think about it. Please don’t be offended when I say that it’s simply laziness (I am guilty as well). Now as an adverb, it can be used to indicate a high degree of something, in other words as an intensifier. Like this; ‘Your LinkedIn profile is very good.’. Uninspiring. Rather say, ‘Your LinkedIn profile is outstanding.’ Much better, don’t you think? Especially when The CV Branch has helped you to create a marvellous profile. Use very to emphasize a superlative and an adjective. When you ‘want your résumé by Monday at the very latest’, it conveys the same message as, ‘My résumé should be completed by Monday.’. The message is the same if you think about it. Instead of saying that ‘this is my very own cover letter’, tell employers that ‘it’s your personal cover letter’. You can use very in the sense that it means ‘the same’. Compare these two sentences; ‘Sonia said the very same thing.’. I’d rather she said, ‘the exact same thing’. But remember that you cannot use very with verbs. There is a newspaper in the United Kingdom that uses very so indiscriminately that it’s almost painful. One would think that their journalists would know better. But on the other hand, news is so fluent that they probably don’t have the time to think of a better word. I’m sure that that’s their excuse, mind you. I like to replace very with ‘so’. In the sense of ‘I’m so excited.’. But there is a case where I wouldn’t necessarily change very; in the sentence, ‘Very good, sir, will that be all?’ It expresses consent or agreement. What do you think? there is a Very flare gun, apparently. Let me know about the words that you replace very with.